Frequently Asked Questions - Super Cute Kawaii!! Kawaii (pronounced a bit like like Hawaii), is a Japanese word that means ‘cute’. Over here, we use it to describe the Japanese style of cute, which pervades the entire Japanese society. If it makes you squeal on first sight, it’s probably kawaii. Think food with faces, animals pretending to be furniture, furniture pretending to be food etc, etc. 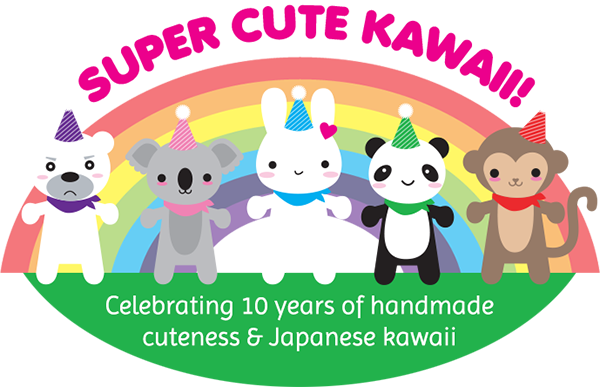 SCK founder Marceline took part in an article explaining kawaii at Folksy. Check out our Submissions page! How do I sponsor a giveaway or get you to review one of my products? 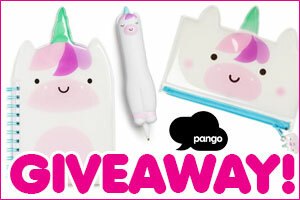 Have a read of our Giveaways and/or Reviews pages and get in touch. Check the advertising rates page for up to date info. All the information is on our Contact page. Help! 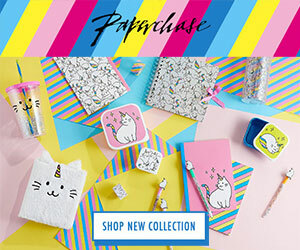 I’m having trouble using the site or can’t enter a giveaway! Oh no! Please contact us and we’ll help you out. Please include as much information as possible e.g. which browser you’re using (Safari/Chrome etc. ), whether you’re using a Windows desktop PC, Apple Mac, iPhone or Android phone etc. and what exactly is happening. What’s the difference between a sponsor ad and an affiliate ad? Sponsors are advertisers who pay upfront for an ad. Affiliates are shops that have an affiliate program that we’ve joined – they don’t pay for the ad, but instead give us a percentage of all sales that come directly from links on our site. We’re always interested in hearing about new affiliate opportunities with suitable sites. Can I write for Super Cute Kawaii? Do you accept guest posts? 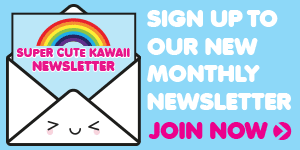 We’re not currently looking for new writers, but we would be interested in reports from kawaii events. We don’t accept unsolicited guest post submissions – any emails about this will be ignored and follow-ups will result in your email being blocked. Can I use your images and/or posts on my own site? You can repost product images, as long as you credit the shop owner or makers. Our posts are copyrighted and you cannot copy them directly without written permission. The same goes for our own banners and images. Bunny, Panda, Koala, Monkey, Polar Bear and the Le Buns are copyrighted characters and may not be used without written permission. If you wish to use any images or characters for commercial purposes you must get permission from the image owner. Who designed your kawaii avatars? We made them using Chanrio, Sanrio’s free kawaii avatar maker. How do I get my own avatar to appear next to my comments? If you want your own avatar instead of a random geometric shape, you need a Gravatar. It’s free to sign up and takes a few seconds and then you’ll have an avatar that’s linked to your email address so any time you comment on a site using gravatars (most blogs using WordPress, Disqus etc. ), it will automatically show up. Cool, right? I’ve never won a giveaway – do people really win? They really do! Here’s some of our happy winners with their prizes. We use Rafflecopter for our giveaways which records every entry and picks the winner using a random number generator so there’s no way for us to cheat and choose our own winner. Enter everything. If you enter all our giveaways you have a better chance of winning something, than if you just enter the one you really really wanted to win. Use all your entries. We offer extra entries for social media follows, blog comments and more. Do as many as you can for the best chance. Follow the rules! Almost every giveaway, we have to disqualify people who have either not answered the question in their comment or haven’t completed a social media entry as stated (eg. following our Twitter account). 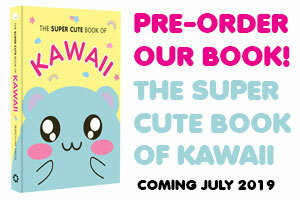 Can you send me kawaii to review? 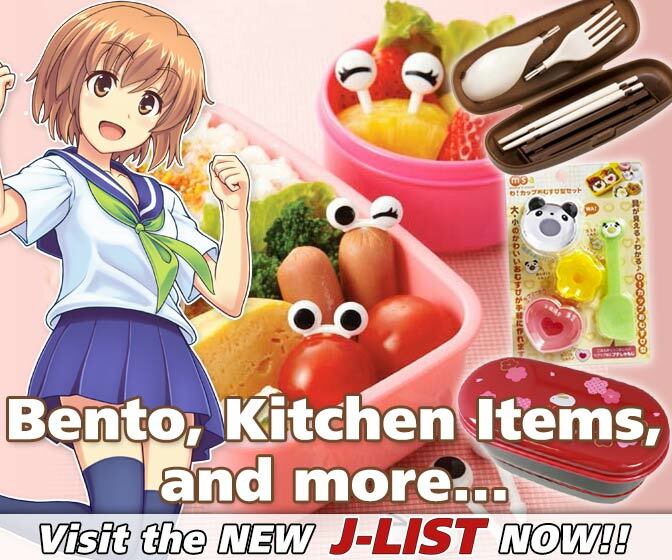 Review items are provided to Super Cute Kawaii by makers and shops to be reviewed by our writers. If you wish to review products made by the SCK writers or by shops we’ve featured, you should contact them individually through their own websites. Most makers will not send out items for review unless you have a well-known blog/channel and a large active social media following. Can you send me free stuff? Can you pick me to win the giveaway because I deserve it more than anyone else? We try to be as fair as possible with all our readers and can’t change the rules for any individual. Giveaway winners are chosen by a random number generator. A large percentage of the items we receive for review are kept aside to share with our readers in regular surprise giveaways. Can I link to your site on my blog? Please do! We have some images you can use here. You’ve posted a product that’s a rip-off of my/another brand/character! Argh, we’re so sorry. While we obviously want to promote original designers, sometimes we’re unaware that someone is actually copying their designs from someone else. If you suspect someone we’ve featured is a copycat please email us rather than leaving a comment – it’s a strong accusation and can get both of us in legal trouble. Send us all the information and we’ll do our research privately. If we think they are copying, we’ll remove the post and write a new one about the original designer. Who did your design? Will you design my website? The SCK mascots and web design are by Marceline (Bunny). Have a look at her portfolio and get in touch if you’d like a quote.